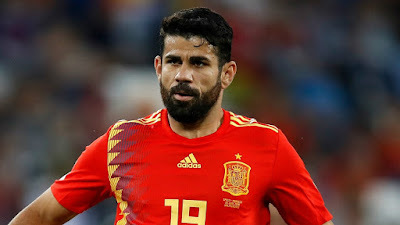 Spain called up Celta Vigo striker Iago Aspas to replace Atletico Madrid's Diego Costa for the upcoming UEFA Nations League encounters against England and Croatia. The Royal Spanish Football Federation (RFEF) said on Monday that Costa requested to be dropped for personal reasons. Spain face England at Wembley Stadium on Saturday in Luis Enrique's first game in charge, then host Croatia three days later at the Estadio Martinez Valero in Elche. Aspas was left out of the squad last week despite having played at the World Cup. La Liga's top scorer from Spain the last two seasons, Aspas, who scored in a 2-0 win over Atletico Madrid on Saturday, has six goals in 13 national team appearances. Players arrived on Monday at the RFEF's headquarters in Madrid -- including Chelsea's Alvaro Morata and Marcos Alonso, who are returning to the squad after being left out for the World Cup. Spain, winners in 2010, were knocked out of the competition by hosts Russia in the round of 16 in July.